Not everyone works in a studio, or even within 4 walls. While I work a lot in my home studio, I oftentimes also have to work on location, so portability is important to me. For those photographers that might work out of their car, or even using public transportation as a means to get to location shoots (like I do), there are many useful tools out there that can make the journey much less of a hassle, allowing you to you to shoot in a much more positive frame of mind from start to finish. 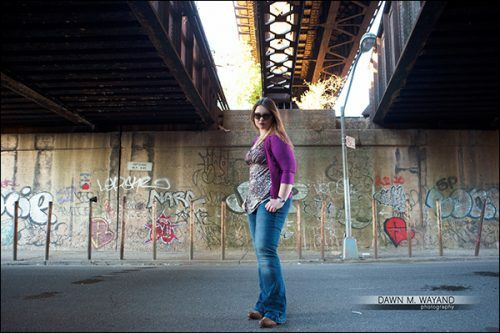 One of my location shoots in The Bronx. A stable support system for your camera is one of the most important things you should consider purchasing right after you buy any camera and lens if you shoot still objects – and there is no shame in using a tripod for your portraits. 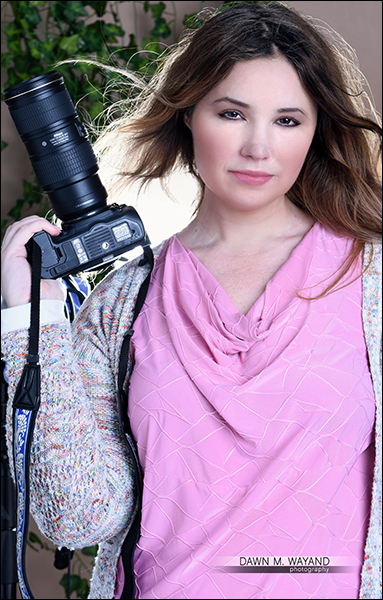 I actually love occasionally mounting my camera to a tripod, check the frame and then use a remote to shoot – that way I can freely move around anywhere to engage more with my client or help adjust wardrobe or to demonstrate a pose. Tripod in use on location in Midtown. 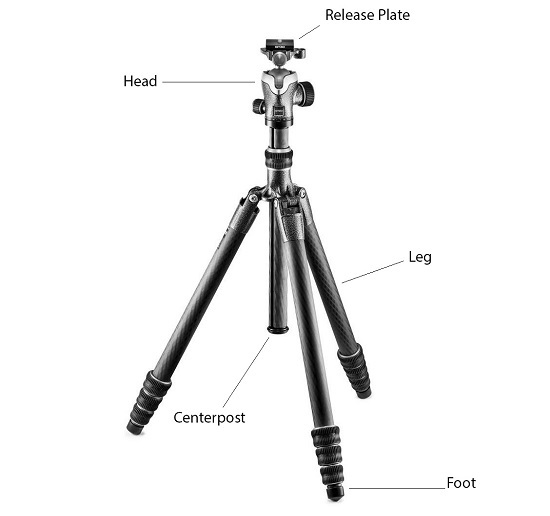 Tripods usually get left behind because they are too cumbersome due to their weight, too awkward to carry due to length or take too long to set up. They can also get a little pricey, however, they are supporting the weight of your $500+ camera and lens combination. Not obtaining a proper tripod to support your camera and lens unit can result in the unit falling and becoming damaged – sometimes beyond repair. How much did you spend on that camera and lens again? My diagram of a tripod and its features. Weight for the traveling photographer is a huge factor when deciding on a tripod. Aluminum legs can be heavy. If you spend the little bit of extra money, upgrade to carbon fiber legs. Carbon fiber is very lightweight material that is also very durable. All I can really say about the differences here is to walk into Adorama and ask to see and lift up one of each type of tripod legs: you will see what I mean! 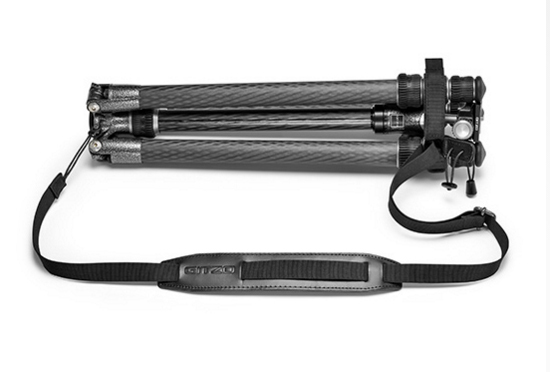 If you must get fancy or want the top of the line, the Gitzo GT0545T Series 0 4- Section Traveler Tripod pictured below is a good choice as it weighs only two pounds and closes to just over a foot. 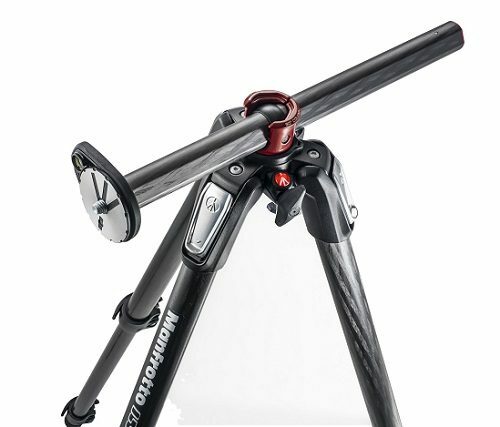 The Manfrotto MT055CXPRO3 Carbon Fiber 3 Sections Tripod with Horizontal Column is a more affordable choice that has a horizontal column, however, it weighs close to 4.5 pounds. I’m actually looking to upgrade my tripod legs to the Manfrotto MT190CXPRO4 Carbon Fiber 4-Section Tripod with Horizontal Column as it has a useful 90 degree column (hey, maybe I want to shoot someone laying down? Sure, but it nice to have options when you like to shoot more than people…) These legs are a great option as they are lightweight due to the carbon fiber construction weighing in at only 3.6 pounds. Tripod heads, well, good tripod heads make up the bulk of a tripod’s weight. There are several types of tripod heads and really, it all comes down to preference, I personally like the flexibility of a ball head. You do not have to get a large ball head, but do make sure it does have a little weight and feels solid (not that cheap plastic feel…) as it will last a bit longer. Various type of tripod heads. You can learn more about tripods: why you need them, why they get a bad rap, considerations when purchasing a tripod, components of a tripod and more of my recommendations for tripods and heads in my article, Tripods: Choosing the Right Support for Your Investment. 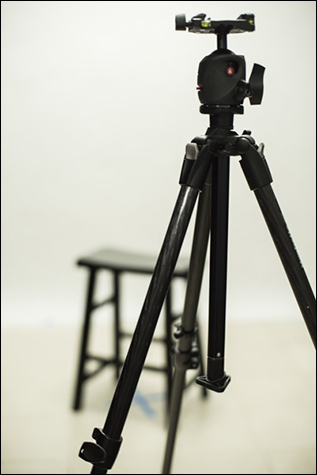 Just like your tripod, light stands are known to sometimes hold monolights or strobes worth thousands of dollars, so you want to pick a reliable light stand to support your investment. 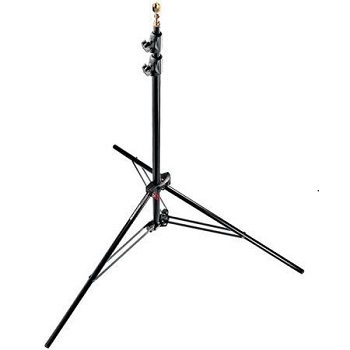 I’m a big fan of the Manfrotto 1052BAC 93″ Air Cushioned Aluminum Compact Stand. 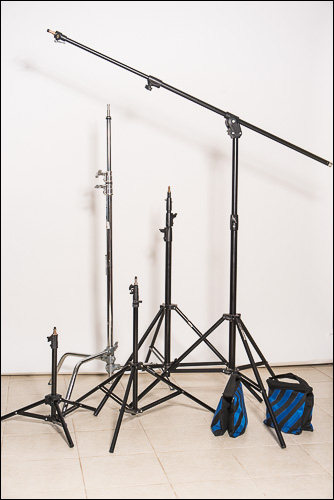 This light stand weighs only 2-3 pounds, holds 10-11 pounds and folds up to 33-34 inches. 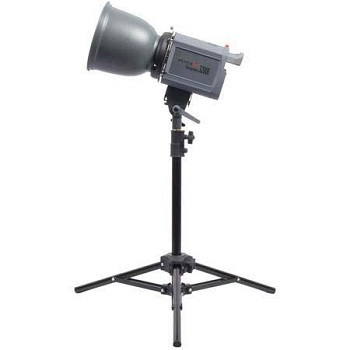 Note that this is an air-cushioned light stand. This is really important as if you have a heavy light on top of your light stand and you lose your grip while lowering the light, the air cushioning will take the sting out of the light’s plummet as it drops to the next level of the stand – which could result in damage without this feature. Maybe you are only using speedlights. A great portable option for a speedlight stand would be the CheetahStand C8 Light Stand. It expands to 96 inches, can carry 6-7 pounds, collapses to 28.5 inches and weighs 6 pounds. This is a free sliding light stand, so you will need to be careful with what you put on top of it when you lower it from any height. Sometimes you might need a short light stand to light feet or to light a background behind a subject, and while they are aluminium, I have have found the Interfit Compact Light Stands to be very convenient to have on hand. For those of you who may be working strictly in a studio and do not need to worry about weight and size or you work both in a studio and on the road, I have written a good read with more recommendations on light stands in my home studio series: Building the Home Studio Part 2: Continuous Lights and Light Stands. BTW – don’t forget to use sandbags on those light stands! Yes, this can be tricky with weight and traveling, but would you rather your light stand with a $1,000 light go toppling to the floor because you had nothing weighted holding the light stand down? An inexpensive option for sandbags, which I actually own are the Flashpoint Weight Sand Bags which you can find for $12.95 each at Adorama. Speedlights can work really well on the road. 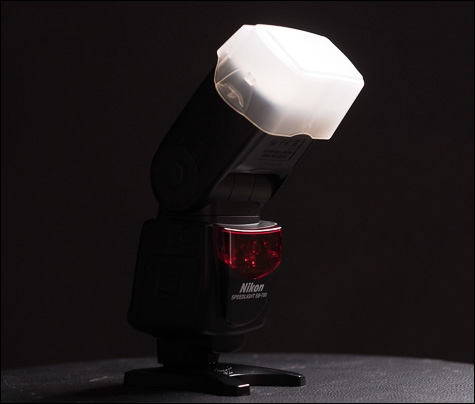 Due to their size, speedlights can be a much more portable and convenient solution for lighting a scene than a strobe. I dive deeper into the actual advantages, disadvantages and functions of using a speedlight in my article: Quickstart Guide to Speedlights. Self-Portrait taken using a Nikon SB-700 Speedlight and a White Shoot-Through Umbrella. I am primarily a Nikon shooter, and while I currently work with the Nikon SB-700 (an older, but “still kicking” Nikon model), like most upgrades, the latest Nikon SB-910 is a nice upgrade from the SB-700 in that it provides a longer flash duration, a quicker recycling time and greater lens coverage. 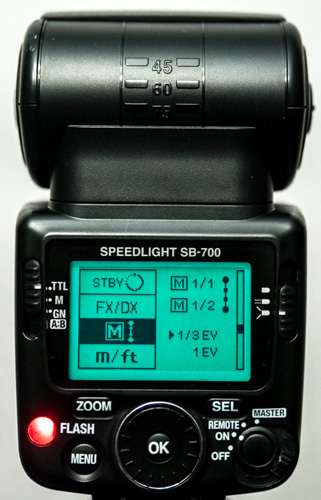 The industry standard speedlite for Canon shooters is now the Canon Speedlite 600EX-RT at a $469.00 price tag. 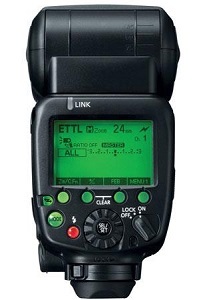 Unfortunately, and unlike the wireless Nikon speedlight, the Canon speedlite requires the Canon Speedlite Transmitter ST-E3-RT at an additional $280.00 to fire the speedlite – physically – off-camera. 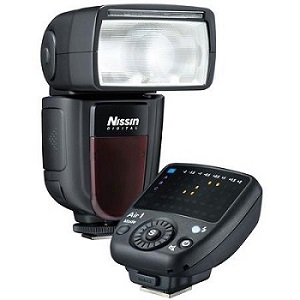 A current third party model that has comparable features to both Canon and Nikon flashes, but has radio capabilities at a fraction of the cost that I am a bit impressed with at the moment is the Nissin Di 700 Air Flash Kit at $299.00 which comes with the Commander and is made in Nikon, Canon and Sony versions. There are a lot of great accessories and modifiers that work well with speedlights that I go into more detail on in my article, Building the Home Studio Part 3: Flashes, Light Meters and Backgrounds. I recently had the pleasure of using a Flashpoint Rapid 600 HSS Monolight and was really impressed with the quality of lighting produced for the price. It is a very lightweight light, perfect for the traveling photographer. Flashpoint Rapid 600 HSS Monolight in use with an umbrella. Due to the receivers being built into the monolight and flash, this particular monolight is also compatible with the Flashpoint R2 Zoom Flash for Nikon, Canon or Sony when using the respective Flashpoint R2 i-TTL Wireless 2.4 G Transmitter Remote. Below is a portrait my assistant took of me using this monolight as a key light along with the Flashpoint R2 Zoom Flash as a fill light. Using the Flashpoint Rapid 600 HSS Monolight a a keylight and the R2 Zoom Flash as a fill. You can check out my review of this monolight, Hands-On Review: The Flashpoint Rapid 600 HSS Monolight for more information on this light. I’ve had the opportunity to use the Profoto B1 500 Air TTL Battery-Powered 2-Light Location Kit a few times through Adorama Rental, and it was a dream. This kit is very easy to use with is fully-integrated with your Nikon or Canon digital camera via the optional Air Remote TTL-C or TTL-N. It’s battery powered and cordless so it can go with you anywhere. One of the great features of this kit is the exclusive custom backpack that the equipment travels in, which keeps everything safe and secure. 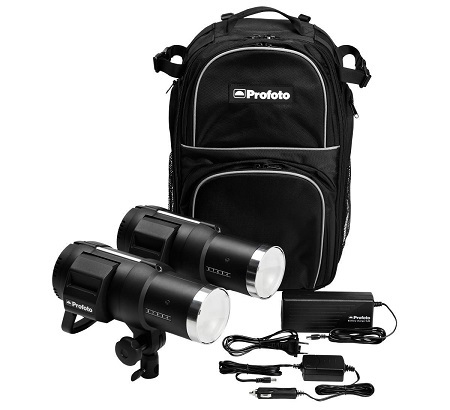 Profoto B1 500 Air TTL Battery-Powered 2-Light Location Kit. If you use LEDs, an interesting choice for versatile, compact LED lights is the Westcott Ice Light 2 at $499.99 each, which I recently had the opportunity to try out and was blown away with the light quality. This is a great handheld, wraparound, daylight and portable light with an output of 1740 lumen and a CRI rating of 96. It can mount to a lightstand or tripod or be used handheld at any angle you want. 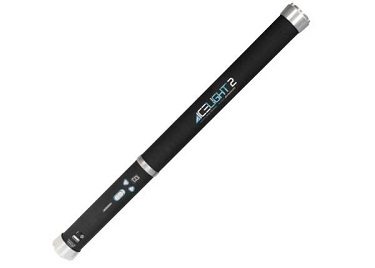 The Westcott Ice Light 2. You can even shoot and hold or have you model hold the light(s) at the same time should you not have an assistant available. The Westcott Ice Light 2 lasts about an hour on a full charge. Testing out the Westcott Ice Light 2. 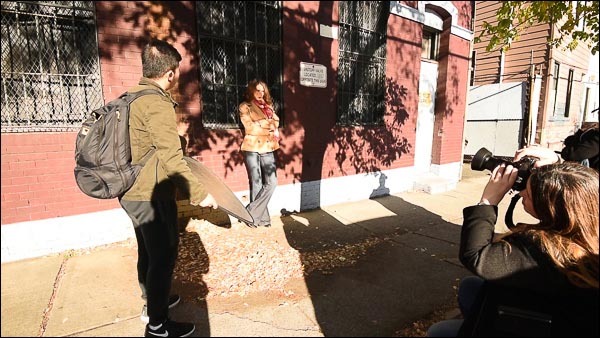 For portability purposes, there’s a few types of modifiers that fit the bill and work very conveniently for location shoots: reflectors, umbrellas, certain softboxes, a beauty dish, barndoors and/or gels. There are also a few speedlight modifiers that work well too and I’ll get to those in a moment. A portable reflector is probably the first modifier you will ever own, especially if you shoot people. 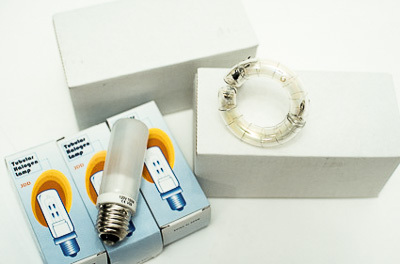 They are an inexpensive, portable and convenient fill light source. Whether you use the sun or a flash, monolight or strobe, portable reflectors are an excellent tool to help fill in unwanted shadows. 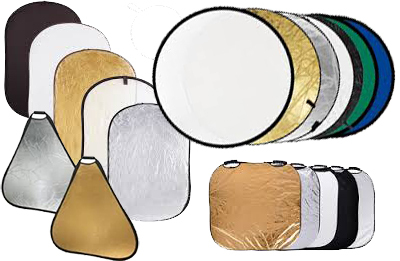 Large oval reflectors, circular reflectors, square reflectors and triangular reflectors. I go into great detail about reflectors in my article, Building the Home Studio Part 04: Essential Studio Tools, Props and Odds & Ends. 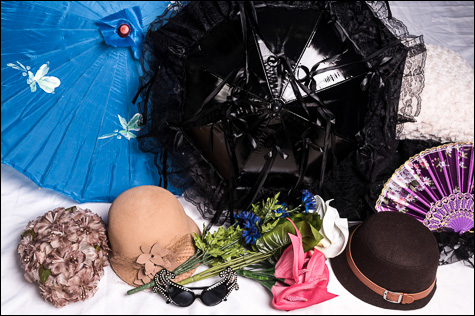 Umbrellas are convenient portable tools that serve to diffuse or bounce light back onto your subject when shooting in a studio or on location. No matter your level or budget, umbrellas are your great tool for getting professional results in your portrait work. I go into great detail on umbrellas in my article: Umbrellas: Good for More Than Just a Rainy Day. Shoot through, white, silver and gold umbrellas. 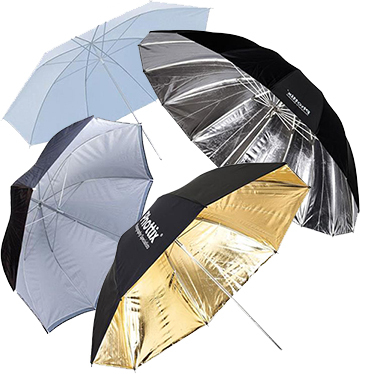 Umbrellas softboxes, like umbrellas, are convenient and portable as they fold up like umbrellas and take up less room than conventional softboxes. I’m a big fan of the Westcott Apollo Orb which is now on sale at Adorama. Octabank, strip and square softboxes. There are a few softboxes with speed rings that are easy to set up too. I’ve had the opportunity to try out the Profoto 2’x2’ RFi Softbox which were are a dream to put together. I actually own two Glow 24 x 24″ Softboxes, which didn’t cost much and are easy to put together (speedrings are separate and custom to your light’s brand). Glow also has strips and many other shapes and sizes available. 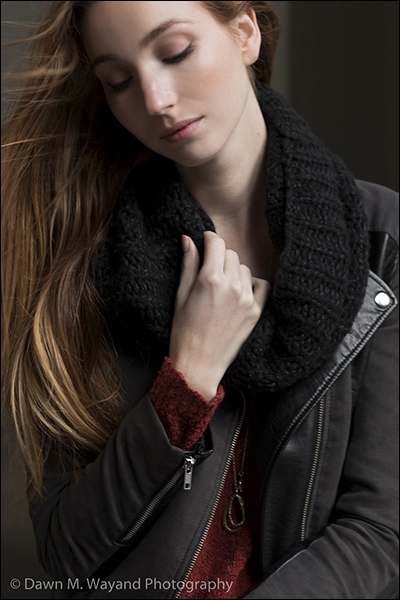 If you are into portrait or beauty photography, a beauty dish is a “must”. Beauty dishes come as white or silver coated on the inside. White coated dishes make for a softer light whereas silver coated dishes make for slightly more contrast. Beauty dishes have two different companion modifiers that can be used along with them: a diffuser, sometimes called a “sock”, and a grid. 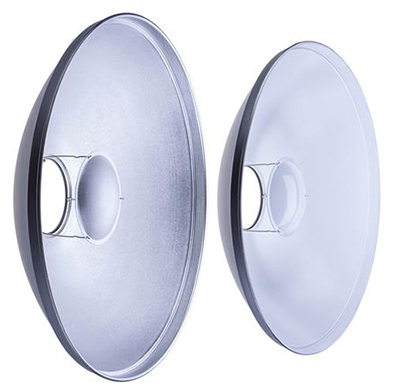 Silver beauty dish (left) and white beauty dish (right). If you can swing it, get something at least 22 inches in diameter or more. 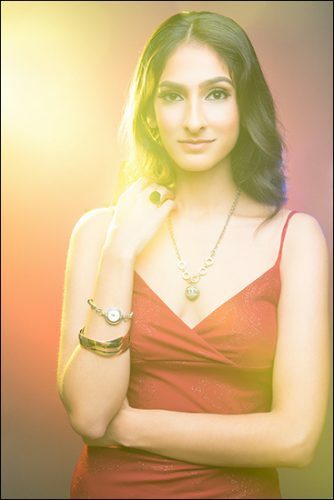 Which beauty dish you should get will depend on the monolight or strobe that you have. Brands like Glow make a variety of mount options to work for more than one single brand. Don’t forget to get a beauty dish bag to carry it on location. This will help keep it circular instead of battered and mis-shaped. What’s versatile about this modifier is that these 4 doors can be opened as much as desired allowing for numerous lighting results. Many barn doors are sold as kits that also include companion modifiers of four gels and a grid, such as Flashpoint’s Universal Barn Door Kit featured above. Gels are not only a practical tool for color correction, but they are also a fun, creative modifier to use for lighting a subject too. In the image below, I used a Rosco 20”x24” Color Effects Kit which contains 15 different color gel sheets. 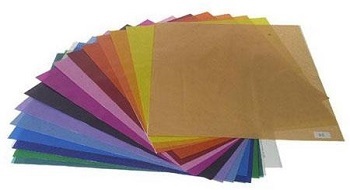 These flat-like-paper gels can be bent or folded and are still reuseable. This particular kit contains the larger-sized sheets, which also allows me enough available to be able to also cut swatches of the gels for use too. Using a speedlight and not a monolight of strobe? Some of the same modifiers can be used for speedlights as well, but if you’re using a speedlight, you can get even more portable than that. 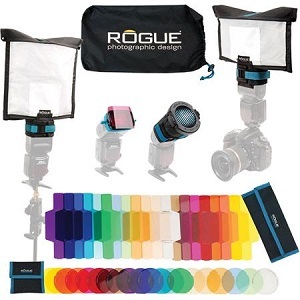 Expoimaging makes a great kit that has many of these tools called the ExpoImaging Rogue FlashBender 2 Portable Full Lighting Kit for $199.95 at Adorama. Shooting anything on location where you can bring a laptop and/or where more serious situations might include a laptop with monitor and a monitor hood. This doesn’t just apply to people and products, but it can also apply to landscape shoots too. My Apple 27-inch iMac for studio use and my Dell laptop for location use. I love, love, LOVE tethering to a computer (my 27-inch iMac when in the studio) or my laptop(when on location) whenever I am shooting people so that I can see my results immediately and on something larger than my 3-inch LCD screen. Then I can make any necessary adjustments that I might’ve missed if only viewed on a smaller screen. 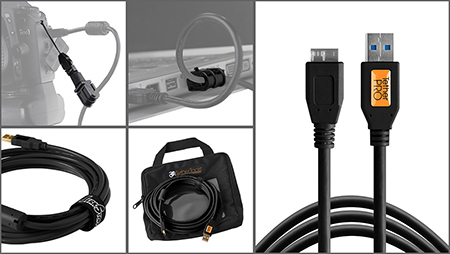 Tether Tools makes a huge assortment of products for your tethering needs. The Tether Tools Starter Kit. I invested in a Tether Tools Starter Kit which consists of one direct 15-foot TetherPro Cable that plugs from computer to my specific camera model, a Jerkstopper Cable Management System consisting of a piece for your camera (to prevent the cable from being pulled out of the camera should you step on the cable), and a piece for your computer/laptop (to prevent the same from happening from your computer/laptop), 10 Jerkstopper ProTab Cable Ties and a small carrying case for all of it to keep you organized. If you shoot tethered, I cannot emphasize how much this kit will help you with an otherwise shoddy, unreliable connection. It’s a good idea to use a portable hard drive when on location as you can set yourself up to immediately back up your images as you are shooting, which is safer than relying on your memory card to not fail you. 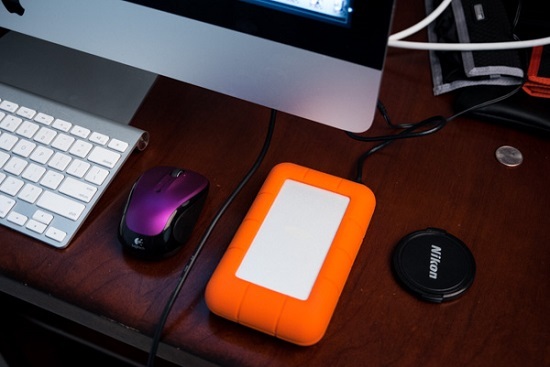 I back up to a LaCie 4TB Rugged RAID Portable Hard Drive whether I am in the studio or on location to ensure my images are safe. 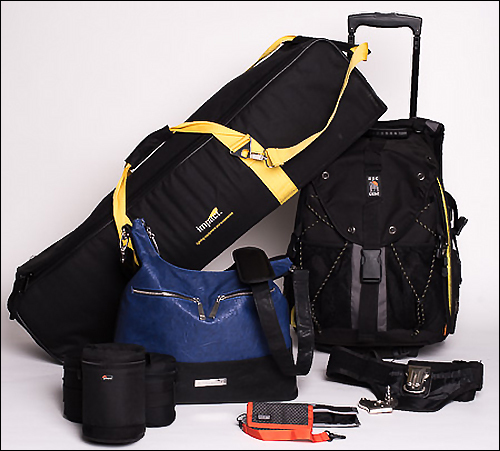 Of course as a photographer working on location, you need bags and whatnot to carry your gear, equipment and odds & ends. I go into greater detail on selecting what you need to carry these things in my article, Bags, Cases & Pouches: Picking A Means For Carrying and Storing Your Gear. Some of my typical location bags and pouches. Camera bags really come down to preference. You may want a backpack or you might prefer a shoulder bag or crossbody bag more. Others might like a roller bag. If I’m on a light location shoot where I do not need to take a lot of lenses, I might go with my fashionable Kelly Moore Brownlee Bag (pictured above in Indigo). If my shoot is a little more involved, I take my Ape Case Pro Backpack. I love this versatile backpack because you also have the option of rolling it (yes, it has wheels too). 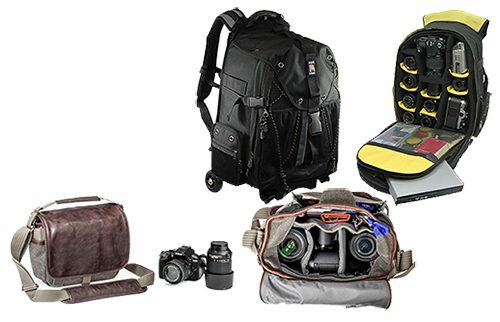 This backpack has numerous compartments for your camera and many lenses, plus it has plenty of room for a small laptop and tethering cords too. The Ape Case Pro Backpack and the ThinkTank Retrospective 5 Shoulder Bag/Messenger Bag. Gentlemen, you might find the fashionable ThinkTank Retrospective 5 Shoulder Bag/Messenger Bag to be a good option if you prefer a shoulder bag for on the go. 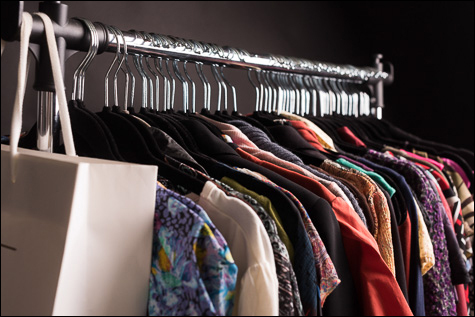 Again, there are numerous options and my previously mentioned article explains what to look for in a bag along with some great examples. Camera battery and AA battery pouches and memory card wallets are great for keeping these tiny necessities all in one place instead of them rolling around your bag. The memory card wallets even have clips to clip to a part of your bag to ensure they do not get lost. ThinkTank corners the market on exceptionally made battery pouches and memory card wallets. 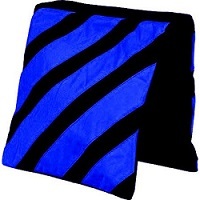 Many monolight and strobe manufacturers create custom bags that are included with your light. I love the Profoto B1 Kit backpack as it makes carrying that expensive investment much easier and safer. I’d definitely want those attached to me! 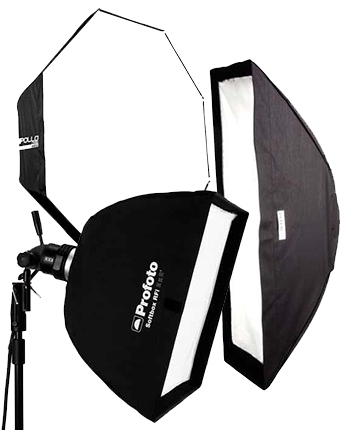 Westcott Deluxe Strobe Bag and the Profoto B1 Kit backpack. 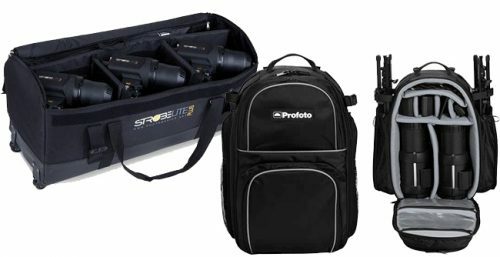 I also like the Westcott Deluxe Strobe Bag if I already have on a backpack (like a camera backpack…) because it’s on wheels. It means less weight on my body, plus the wheels feature both make it easier to move around. Light stand bags with wheels are very convenient for the traveling photographer as are tripod bags with shoulder straps. For the light stands, I like the Hensel HD Bag for Stands and Umbrellas. It doesn’t have wheels on it’s own but if you pair it with the Hensel HD Trolley for Strobes, then you have a solution for both stands, some modifiers and strobes. 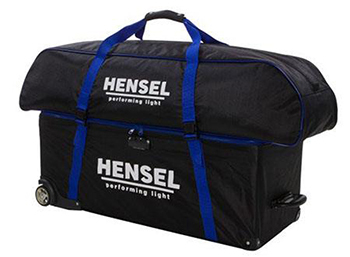 Hensel HD Bag for Stands pictured with Hensel HD Trolley for strobes. For tripods, I find the Hakuba Tripod Case to be a good investment as your tripod most likely cost you several hundred dollars. You want to make sure it’s protected plus it has a strap that can easily be worn over the shoulder. Gaffer’s Tape is a great tool for taping down electrical wires or seamless. It’s also useful for taping a flag to your speedlight or lens, taping equipment to clamps, tripods, light stands and taping wardrobe in the back when it’s too big, etc. A- clamps can be similar to gaffer’s tape in that it has many uses such as clamping wardrobe when it’s too big, clamping a muslin background to a background support system or clamping a seamless roll so that it does not roll out farther than you want it to. 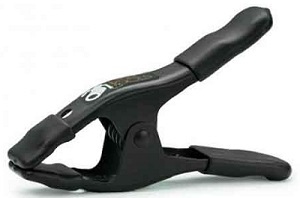 I like the Tether Tools 2″ Rock Solid “A” Spring Clamp in solid black. 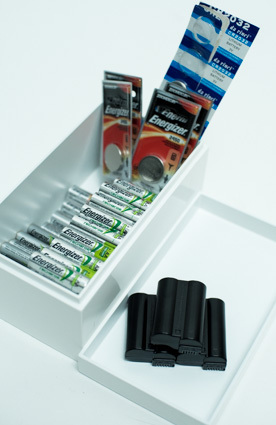 Batteries are needed for many things on location such as your transmitters, receivers, speedlights and your camera. Always have a large stash of backups (Depending on how long my shoot will be, I usually try to have 2 sets of batteries for each piece of gear that requires it as backups…) It can get expensive replacing batteries all the time so I use Eneloop Rechargeable Batteries which are a good solution to save money and to help save the environment. My battery stash at home. Remember those pouches above? Great for storing some of these for the road. There are many odds and ends that you might find useful depending on what you are doing with your location photo shoot. You can find more of my tool ideas in my article Building the Home Studio Part 4: Essential Studio Tools, Props and Odds & Ends. Yes. I did go over a lot of gear and equipment here for a location shoot, but it doesn’t mean you need all of it every time. Depending on many factors and your personal preferences, you may need only a few things from what I listed or sometimes maybe more than just a few things. The greatest challenge is packing as light as possible to avoid additional strain on you. Many of the items I mentioned here are lightweight whereas things like your DSLR camera and lenses, you may not have much of a choice if you care too much about how your client assesses the relationship between your equipment and being a professional. Organization is also key, so good bags will help do the trick. I hope you found this list helpful. Feel free to leave some comments here and let us know what you have found useful for shooting on location. The day is finally here. For some of you, you’ve been planning this shoot for some time now. Everyone will arrive in a couple of hours and there are a few more things to be done before the photo shoot begins – then it’s showtime. A photo shoot that took place on the outdoor High Line in NYC. 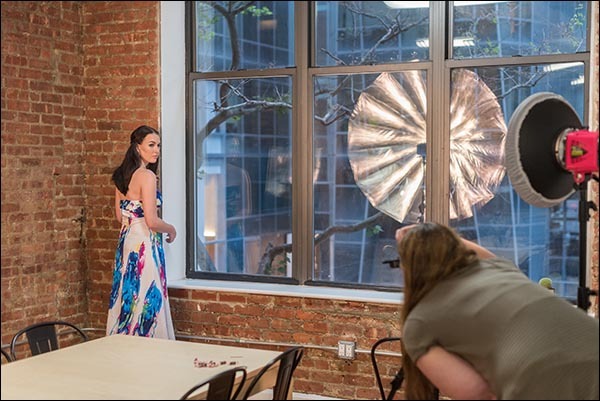 Continuing on from my previous article, How to Plan a Model Portfolio Shoot, for the second segment of this 4-part series, I’ll go over my checklist for day-of-the-shoot preparation before the photo shoot begins. Let’s go! Receive and Set Up Catering for Photo Shoot. Since I typically like to start my shoots in the studio and then move outward, I get my food delivered around 6am for a 10am arrival time of my crew and the model. I usually put out nuts, granola bars, fresh berries as well as an assortment of coffee, tea and bottled water. This is definitely not mandatory, but I prefer to keep my model and team hydrated and semi-nourished with high-protein and natural foods to avoid energy drain during the shoot. I’m trying not to prop a company here, but Freshdirect always hits the spot for what I need. Last Minute Floor Cleanup. Next, I usually save cleaning my floors (vacuum and mopping) until the day of the shoot so that they are pristine because I tend to get on the floor a lot to shoot my models. Set Up a Private Dressing Area. Whether it’s a separate room, a bathroom, a room divider or in my case, a cloth draped over an open window above a door, it’s necessary to set up a private space for your model to change. Set Up Tethering for the Shoot. I have a basic tethering setup. 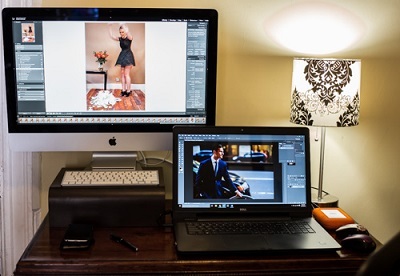 When I’m working out of my home studio, I move my iMac from my office to my work station in my studio area and connect my Tether Tools USB Tethering Cord from my Nikon D750 Camera into my 27” iMac Desktop Computer. When I’m traveling or out in the field, I connect it to my Dell PC laptop. Want to learn more on tethering? I’ve written a very informative article on tethering where you can learn about what is needed to tether, how to tether and much more: Preview While You Shoot: The What, Why, When, Who and How on Tethered Shooting. 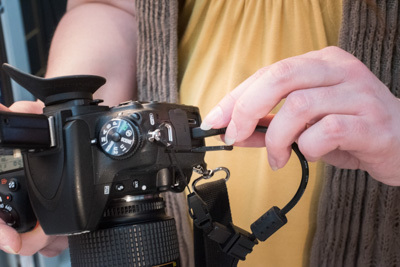 Plugging in the tether cord into my camera. Set Up the First Set. Next, I typically start setting up my first set to get ahead of the game. I usually set up one of my harder sets first because it will take hair and makeup about 60-90 minutes to finish with the model for initial hair/makeup so this is when I will have the most time to build up a set. Background. Whether you are using seamless paper, a fur, a faux floor or an outdoor background, I usually set this up first and build upon it. In this case, I set up a faux wooden floor and a fur as the background for the model to lay on. I used every stool I had and dressed my model very elegantly for this “barfight fashion” set. Lighting. After I’ve put my set together, I figure out how I want to light the subject and the set. There are many ways to light your subject of which I’ve written several extensive articles on that you might find some useful lighting tips, such as: From Light to Dark: High Key and Low Key Lighting in Portrait Photography, 3 Essential Lighting Styles for Essential Portraiture and 4 Lighting Techniques for Creative Beauty Portraits. Here, I placed a light behind my model as a rim light around her hair and shoulders, a beauty dish in front to capture her face. Modifiers. Once you decide on a lighting style/technique, it’s time to put your lights in position and add the necessary modifiers to diffuse and shape the light. There’s also an extensive article I have also written of which you may find some great tips regarding modifiers: Transforming Light Into Art: 9 Modifiers for Diffusing and Shaping the Light. Team/Model Briefing. Once the model, my hair/makeup artist(s) and photo assistant(s) arrive for the photo shoot, I generally go through each of my visions: the set idea(s), the wardrobe, the feelings I want to evoke in the image and my goal for the outcome for each image. I communicate much of this through mood boards on my iMac along with presentation of the wardrobe and accessories, props, etc. These are the general items on my checklist the morning of a TFP model portfolio photo shoot. I’ve found these steps to be very effective for my photo shoots. Some of these steps may not apply to you or maybe you have other steps that are useful to you. 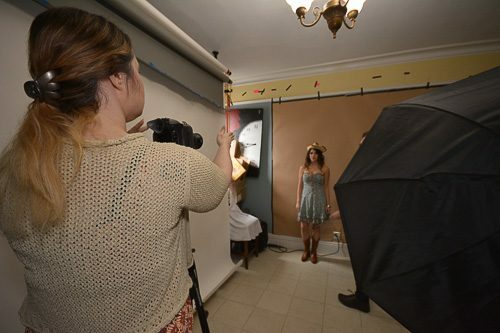 We’d love to hear any additional day-of shoot prep steps! Feel free to share your suggestions and comments. Self-portraits have been a form of portraying oneself that goes very far back in time through not only photography, but sculpture and paintings as well. It has only been recently that it has morphed into an arms-length version called a “selfie”. The more classic version of a self-portrait, allows endless possibilities of how you tell your own story. In general, a self-portrait should be a reflection of you, your ideas, your tastes, your interests and your personality. How you communicate these things is where the fun begins. It fuels creativity. When you have all the time in the world to create a portrait without the pressure inconveniencing someone else’s time to create it, and no boundaries set by a subject other than yourself the possibilities are endless with how creative you can get with your self-portraits. The less pressures that inhibit you, the more creative you can become. Perspective In Front of the Camera. Self-portraits gives you a sense of feeling of what it’s like to be in front of a camera – rather than behind it – making you more aware of how your subjects feel in front of your lens. Self-portraits give you perspective in front of the camera. Giving Direction and Posing. This form of photography can also help you learn how to direct your next subject or model as oftentimes you need to mimic the pose to translate to the subject/model what you want them to do. Self-expression. Self portraits are also a good form of personal self-expression. Yes, we can put a personal touch on a portrait of someone else, but using yourself as a subject adds a whole new level personal expression. Ideas & Experimentation. It’s difficult to find friends and family who are patient enough to sit for you when you are only beginning learn lighting techniques or you want to experiment with a new idea. I resorted to using a mannequin when learning lighting but I found that using myself as a subject also worked and improved my photography tenfold. You Can’t Find a Model. You know what they often say, “you can only depend on yourself…”. Sometimes you fall short of time and end up without a model and sometimes your model is late or just doesn’t show up at all. No one is more available than you. You are a photographer, so there is a theme right there! 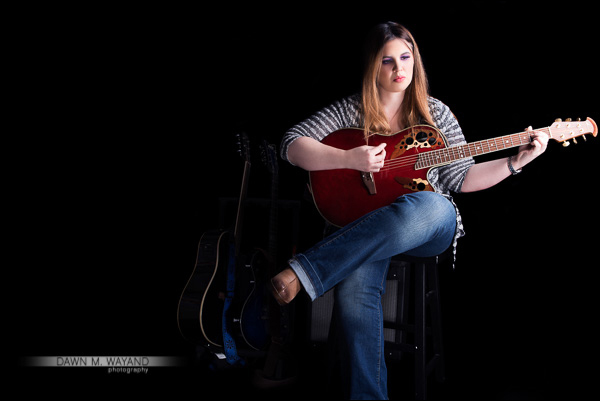 Let your hobby be expressed in your self-portrait through the use of locations and props. 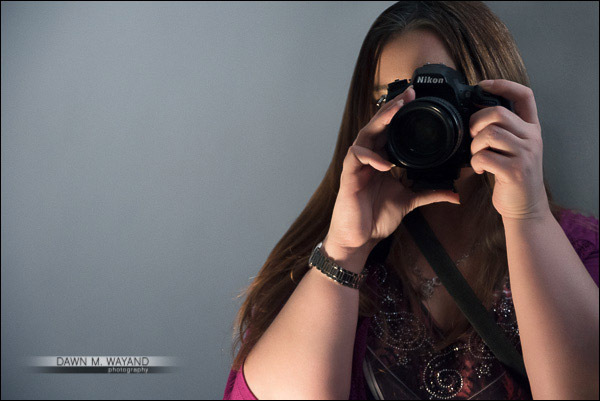 For example, as a photographer, be sure to include your camera as a prop for a self-portrait. 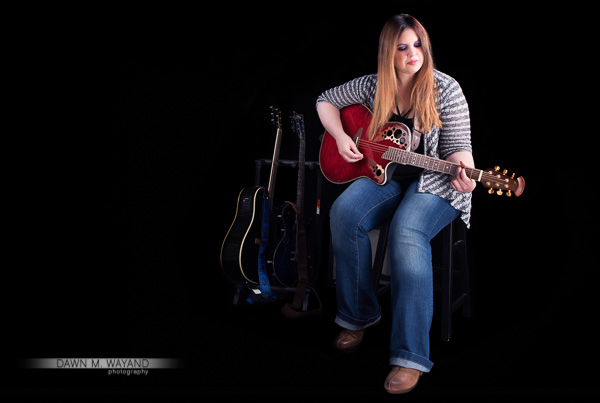 A quick self-portrait of me in my home studio using a remote. What you do for a living can also be expressed in a self-portrait. It is usually successfully portrayed only if it is something you love and enjoy doing for a living. For some, your hobby and your profession might be one in the same. In my case, while photography has only more recently become a profession for me, my long-time career has always been as a paralegal. For this, I might shoot a self-portrait of myself researching and writing in a library or maybe just a classic headshot in front of law books. Tripods will always be your best friend when shooting self-portraits. They are mandatory. They are also a portable tool to take with you to shoot yourself on location. Including your favorite hangouts and/or quiet spots in your self-portraits can sometimes add to the ambiance of the photograph and reflect part of your personality. Play sports or a musical instrument? Including something you are able to do in your self-portrait is a great way to convey your personal interests and extracurricular activities. I don’t play enough, but when I have time, I love to play guitar. If there’s a part of you that you favor more than the rest or perhaps have been the topic of others’ conversations (in my case, it’s my long hair), focusing on this can make for an interesting self-portrait. I consider my long hair one of my prominent features. If you a fashionable person, photographing yourself in your best rags can also reflect your tastes – especially in fashion. We’re taught as portrait photographers that the best way to get a great personal image of a disinterested teenager is to include an object of their affection in the picture. You are no different. For me, not much comes before my cat and my guitars. My other dream, as a rockstar. Like any photoshoot, sometimes it is good to conjure up a theme and let it go from there. Have a favorite color? Create a monochromatic image using only that color around you. Maybe you are into cosplay? Dress up in your favorite costume, find a good location, set up your tripod, grab your remote and shoot. If you can create a theme for a party, you can certainly create and shoot a theme for you. 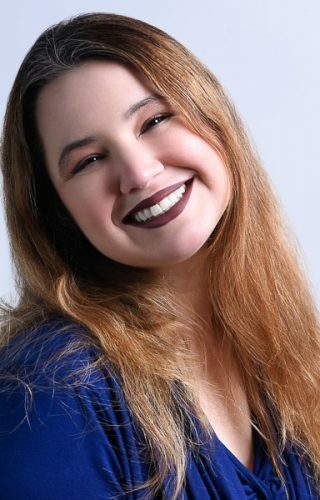 The Classic Headshot. 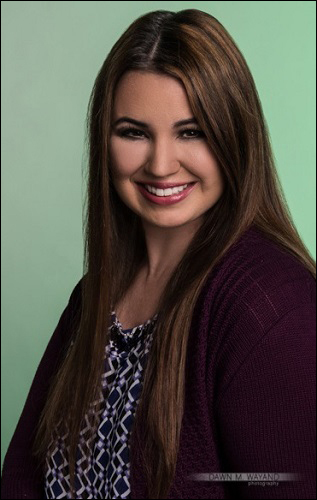 We’ve already discussed how to create a classic headshot in my last article, 4 Ways to Create a Professional Self-Portrait (Not a “Selfie”) – Part I, so we’ll move onto other fun ways to get more creative with your professional self-portrait. Here is a classic headshot I took as a self-portrait using the Lightroom capture button. Your Reflection. You’ve probably tried this before in your own bathroom, in museums where there are mirrors present or even in Chicago at “The Bean” statue, but since you are a photographer, using a mirror to shoot your reflection showcases you engaging in your personal hobby or profession. Shooting yourself in front of a mirror is an easy way to create a self-portrait. Just make sure you don’t have your flash on and watch your borders! A creative tip: place a mirror behind you to add a repeating effect. Without a Face. Shoot only part of you – instead of all of you – and I don’t mean a headshot only. I’m sure you’ve seen images of expectant mothers that creative photographers shoot that include only the chest and down to emphasize the beauty in a mother’s body during pregnancy. We might not all be able to be pregnant right now (if at all) so try shooting only your feet, only your waist-down or only your neck to waist. 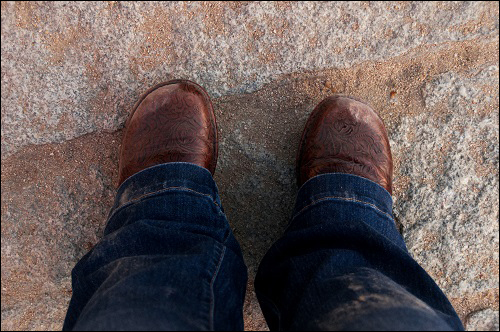 Most people know I am a world traveler and love this image entitled “I am here” taken in Madrid, Spain. Location! Location! Location! Switch it up and take your shoot outdoors, to a garden, to a zoo, to a library – anywhere but the plain four walls of your home. Under train tracks right down the street from my apartment. Capture Your Dark Side. 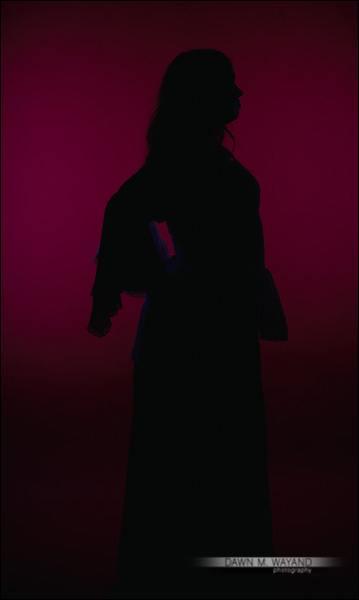 Create a silhouette of yourself by using backlighting without any front or side lighting. Here I’ve created a quick silhouette example in the studio using red background paper. Get a Move On! Incorporate motion into your self-portrait. Dance around, shadowbox – get into a groove and set your camera’s shutter speed on a slightly slower speed to capture a range of motion. 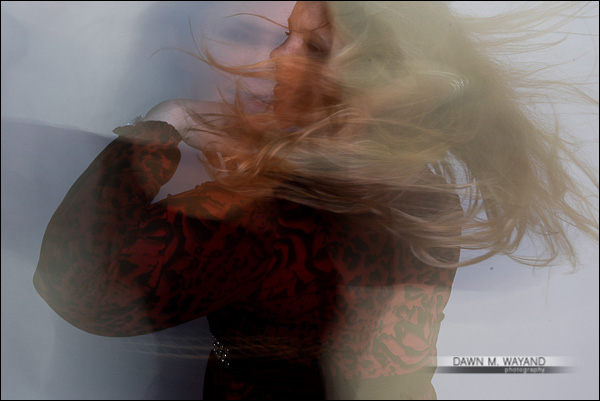 While I can’t say that I can really dance anymore, this self-portrait of me twirling in song did turn out pretty cool. Don’t Be Afraid of Your Own Shadow. Your shadow in the morning and midday sun can make for an interesting, unique image. Shadows can also elongate your body depending on the position of the sun. Work Your Angles. Shoot yourself from different angles. Set your tripod low and shoot up. Stick your camera on a lightstand via your tripod ballhead and position it up above you and shoot down on yourself. Shot from below. I love the shadows on one of my favorite shooting backgrounds in my neighborhood. I secured my camera to a light stand and used a remote to shoot from above. Creating a Mirage. So this may take a little bit of Photoshop skills, but combining two images into a double exposure can make for a pretty spectacular image. Here, I took the initial profile image in this article and combined it with an image of one of two of my favorite flowers – cherry blossoms. 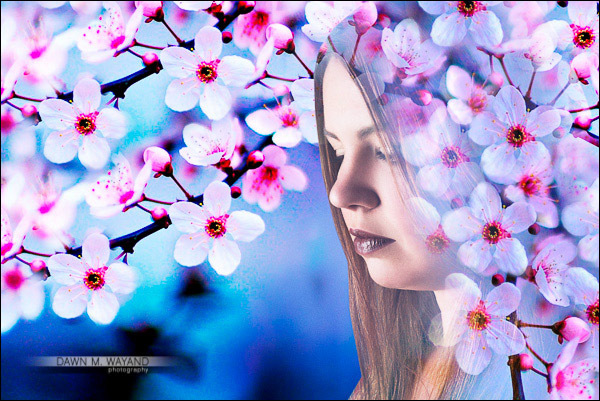 Here I combined a self-portrait with one of two of my favorite flowers – the cherry blossom. Create Enough of You to Go Around. A fun self-portrait to create, which also takes a little bit of Photoshopping skills, is to composite several images of you together to create a “multiple-you” image. Here, I took advantage of my most used space in my home (aka. 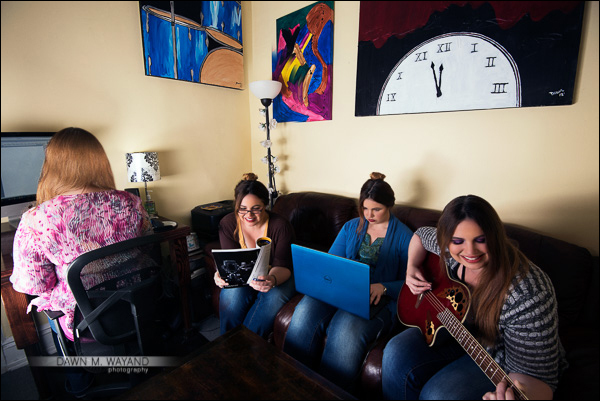 my “woman cave”) and created four separate images leaving the tripod in the exact same place for each shot. Each image was of things I pretty much do daily, creating a pretty accurate representation of me. Here is a composite image of everything I like to do in my woman-cave. The Honest Truth. Capture yourself doing an everyday task around the house or outdoors. You don’t even have to be looking at the camera. 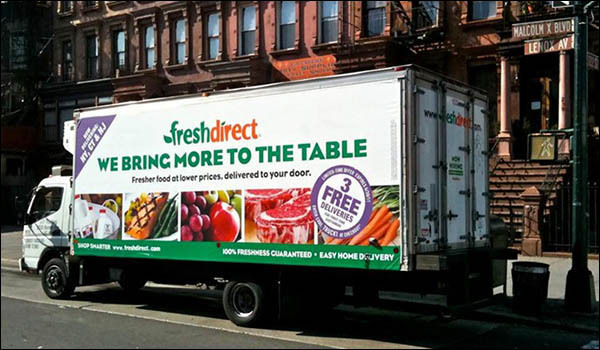 In this image, I captured a natural image of myself on my front doorstep in the industrial area of the SE Bronx. Camera (DSLR preferred). I prefer a DSLR camera because I can generate RAW images to work with, I can tether to a computer or laptop, I have a lot more lens choices and because if I shot with film – this project could get very expensive! I have a few suggestions on DSLR cameras in my article: Building the Home Studio Part 1: Space and Essential Shooting Gear. Tripod. 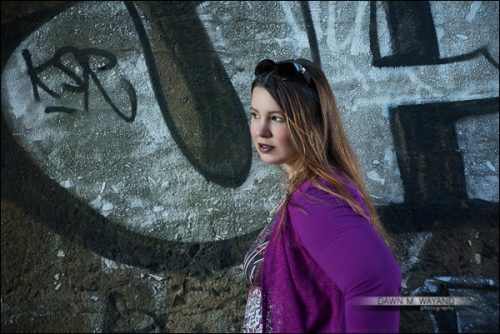 A tripod is a must for self-portraits otherwise you will be very limited by using any available level surfaces. Imagine, if you had a tripod (with a ballhead), you have a choice of all available surfaces plus a decent height and just about any angle. I have several suggestions for choosing the right tripods in my article: Tripods: Choosing the Right Support for Your Investment. A tripod is pretty much vital to creating a self-portrait. 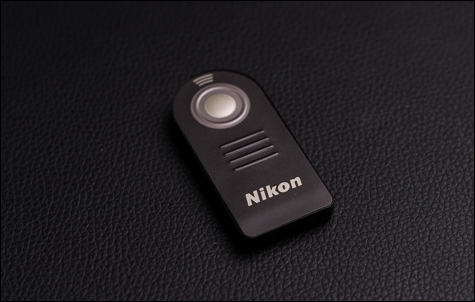 A simple remote for my Nikon D750. Light Source. 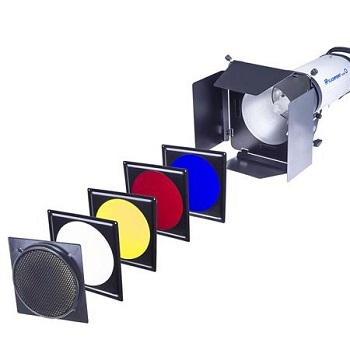 A light source can consist of available light, a speedlight, a continuous light, a monolight or strobe. You can really get by with any of these, though you can create an endless variety of results and achieve them much faster with the use of some sort of flash light source (speedlight/monolight/strobe) due to positioning, brightness and modifier used. To start, a speedlight can work just fine. This is my old Nikon SB-700 Speedlight. 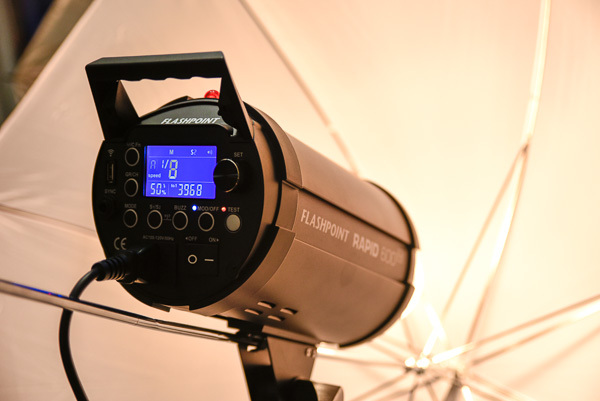 The Flashpoint Rapid 600 HSS Monolight is a good choice for a monolight. Light Stand(s). If you are using any light source other than available light, you’ll need light stands for your lights. Don’t skimp on these. 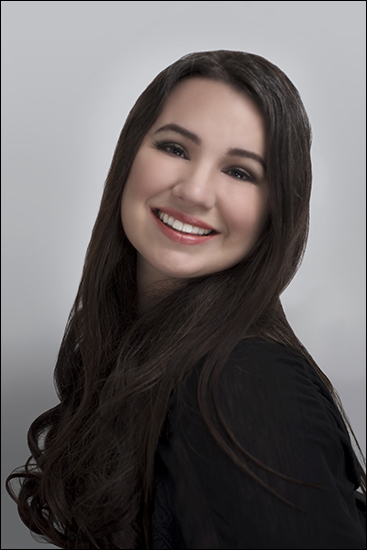 They are what are supporting your $300-500 flash or $500-3,000 monolight or strobe. I have a few recommendations for light stands in my article: Building the Home Studio Part 2: Continuous Lights and Light Stands. Light stand(s) and sandbag(s) for support. Laptop or Desktop. The bare essentials are completely fine for creating self-portraits, but you’ll eventually need a laptop or computer to edit those images. One or the other is also key if you plan to tether while you shoot. I do have an old 27” iMac but if you are considering going the iMac route (which I highly recommend for any graphics or photography-related use), don’t skimp here – like I did, or you’ll be sorry – like I am. If you can’t afford what you really want – wait and save for it, otherwise you’ll be stuck with a computer that doesn’t run fast enough or have enough memory for your needs. For photography-related work – especially if you shoot RAW (which you should! ), be sure to choose an iMac with the latest processor (currently the Intel Core i7), at least 1TB of memory, but more if you can swing it, and at least 8GB of RAM. My heart is currently set on upgrading to the Apple 27″ iMac with Retina 5K Display, 5120×2880, Intel Core i7 Quad-Core 4.0GHz, 16GB RAM, 3TB Fusion Drive + 128GB Flash, AMD Radeon M295X which is currently available at Adorama for $2,900. My iMac and my Dell 17” XPS Inspiron laptop. Tethering Cable. If you choose to use a computer and tether, you’ll need a good tethering cable – one that does not lose connection a lot or fall out of your camera port more times than the number of frames you’ve shot thus far. The Tether Tools Starter Kit is a pretty useful and reliable tool for tethering. Tether Tools makes a great line of custom tether cords. I wrote a pretty lengthy article on tethering a little while back called: Preview While You Shoot: The What, Why, When, Who and How on Tethered Shooting that you might find useful on this topic. Adobe Lightroom or Other Tether-N-Edit Software. Using software that allows you to tether so that you can review and edit your images as you shoot on the big screen saves a lot of time and incorrect assumptions that might happen if you rely only on the LCD screen on the back of your camera. Adobe Lightroom is probably one of the best all-inclusive tools out there for both tethering and editing and is the first tool I use before exporting it for fine tuning to anything else, if even needed. If you plan to use it for tethering, be sure to check to see if your camera is compatible for tethering to the software first. If for anything, it is “magic” and easy to use for organizing and editing your images during and after a shoot. You can get in on the Adobe Creative Cloud Photography Plan, which includes both Adobe Lightroom AND Adobe Photoshop for one low annual price of $119 and you will always be up to date on the version you use. There are several programs available out there for tethering, some of which also allow you to edit in post. Adobe Photoshop. You may need Adobe Photoshop to do some finer adjustments or to just do some completely creative edits to your images. Again, you can get in on the Adobe Creative Cloud Photography Plan, which includes both Adobe Lightroom AND Adobe Photoshop for one low annual price of $119 and you will always be up to date on the version you use. The number of things you can use to help create your self-portrait is endless, but here are a few obvious choices. Background. Whether it’s seamless, your living room, your backyard or down the street in the park, you will need some sort of non-distracting background to put yourself in front of. I sometimes use creative art papers for backgrounds. Unique Wardrobe. What you’re wearing, or not, can sometimes be the center of the intention for the image. It helps to have some unique pieces in your closet. Props. Adding in a wig, facial hair, a baseball bat, baton, bicycle, car or other prop can only lend to telling the viewer more about you and things that interest you. Just a small fraction of the props I’ve collected over the last few years. Additional Light Sources and Stands. You can do a lot with one light source but your options can open up even more with added monolights, strobes or speedlights to create multiple light setups. Patience. If you are aiming for things like your eyes to be perfectly sharp, you will be shooting the same shot, let’s just say… A LOT, before you get it just right. 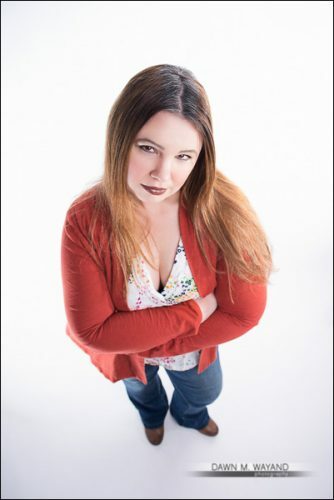 Creating a self-portrait, whether for business purposes and/or for fun can be a great release of self-expression and showcasing the real (or not so real) you. Creating self-portraits of ANY kind will take a lot of time and practice, even for a skilled photographer. 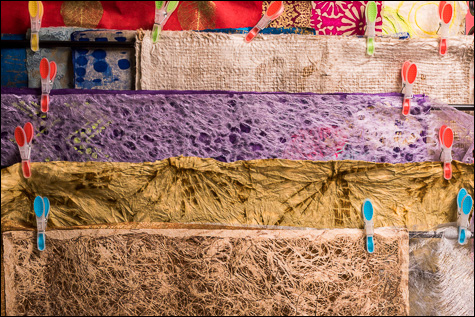 The images in this article took a great deal of time and effort to create. Whatever you do, don’t get frustrated if you are shooting and not getting exactly what you want. Number one, your frustration show in your images and number two, it will happen – just keep shooting and shooting and shooting until you get exactly what you are looking for. Using some of the ideas and tools above, you can come up with an endless number of ways to reinvent yourself digitally, and most ideas without the need for heavy photo editing.